The news that Disney has acquired Lucasfilm, because of the Star Wars franchise of course, has been all over the place, but the more interesting thing for all Star Wars fans is he fact that Disney promises a 7th episode of the saga to be released in 2015 and even more episodes after that. But Disney is not only acquiring Lucasfilm Ltd., but also LucasArts, Industrial Light & Magic, and Skywalker Sound, meaning it is not only about the very successful worldwide brands such as Star Wars or Indiana Jones, but also the gaming division, as well as the technology expertise in special effects and sound that the group of companies that George Lucas has founded. The transaction value is around $4.05 billion dollars, half in cash and the other in Disney stocks, placing George Lucas among the top shareholders of Disney, though Steve Jobs did better a few years ago when his company Pixar was acquired by Disney. The value of the deal with Lucasfilm is roughly the same as the deal that Disney had when they’ve acquired Marvel. What most people are more interested however is the promise that Disney made to continue the Star Wars saga with new movies, probably at least another trilogy, and these movies will most likely be shot in 3D, considering the interest in 3D technology and the fact that the older Star Wars movies are all getting the 3D conversion treatment. The 7th Star Wars movie should be released in 2015 according to Disney which leaves enough time for the remaining five of the older episodes to be converted and premiered in 3D. The premiere of the 3D conversion of Episode I: The Phantom Menace happened in February this year with Episode II and Episode III 3D versions already announced to premiere next year. 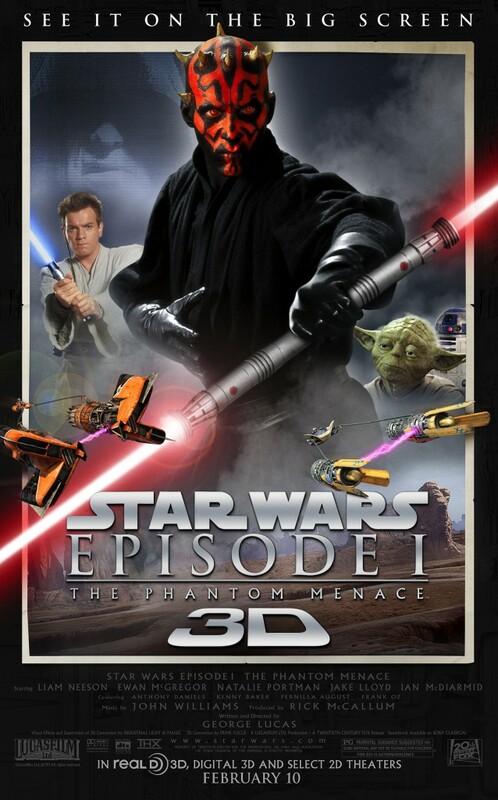 The official release date for the converted in 3D theatrical launch of Star Wars: Episode II Attack of the Clones is September 20, 2013 and Star Wars: Episode III Revenge of the Sith in 3D should be available shortly after on October 11, 2013. And in 2014 we are probably going to see the 3D conversions of the rest of the episodes from the saga premiering in 3D, if there is interest from the viewers of course, and all this should happen as a preparation for the release of the new episode that will hopefully be shot in 3D. The other good news is that Lucas will continue working as a creative consultant, so there should not be any unexpected twists and surprisingly totally different direction to be taken with new Star Wars movies. So what do you think about finally getting a new Star Wars movie and that new episode being shot in 3D? 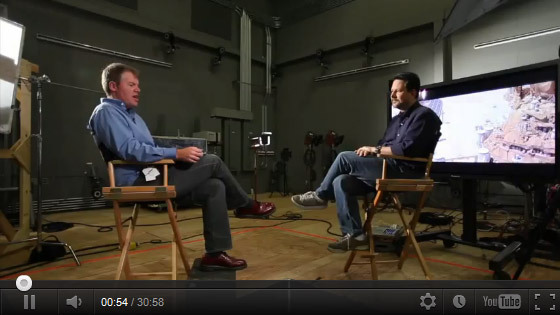 Here is an interesting interview from fxguidetv with John Knoll, visual effects supervisor at Industrial Light & Magic (ILM) who was a VFX supervisor for Star Wars: Episode 1 and has also supervised the stereoscopic 3D conversion of Star Wars: Episode 1 – The Phantom Menace. In this interview John Knoll comments on his approach to the stereo budget, floating windows, parallel vs. converged, shooting stereo vs. post-converting and gives his views on how other studios are solving these complex stereo problems. It is a long and interesting interview not covering only the 3D version of Star Wars, but the use of stereoscopic 3D technology in movies in general talking about other good 3D movie examples and their approach to the use of 3D including Avatar and How to Train Your Dragon, so definitely worth watching, regardless if you’ve liked the conversion to 3D of the movie or not. So based on the numbers was the Star Wars Episode 1 3D conversion a success or not? The US box office shows that the movie has generated over $40 million dollars revenue and internationally the 3D release of Star Wars Episode 1 has accumulated over $46 million dollars, so getting something like $100 million US dollars worldwide in just about a month for an old movie that was converted to 3D is something that can be considered as a success. The budget required for a 3D conversion is significantly less that what you would need for shooting a large scale new movie and with a revenue from it going to something like $100 million dollars for everyone looking just at the numbers is a huge success. Does that make the viewers expecting a spectacular experience from the 3D conversion happy, probably not that much as the experience could’ve been better, and hopefully we’ll get it improved in the next episodes. And we can assume that with results like these Lucas will decide to give 3D conversion another try with the next episode from the saga, because these numbers seem encouraging. Up until now there haven’t been that many old movies brough back to life on the big screen converted in 3D, there have been quite a lot of disappointments coming from new movies that were shot in 2D and then converted to 3D… and not that well converted. And until now animations were the ones getting the 3D threatment in terms of conversions from 2D to 3D, and the results that Disney’s The Lion King 3D and Beauty and the Beast 3D were so good (in terms of numbers) that Disney decided to convert more of its animated movies and bring them in 3D on the big screen again. The Lion King converted in 3D is by far the top grossing old 2D animation converted to 3D (and such movie for that matter) surpassing worldwide gross of over $160 million dollars so far. But now that the Star Wars Episode 1 3D conversion is old news, all eyes are directed on the upcoming digitally re-mastered 3D conversion of James Cameron’s Titanic that will be re-released in early April to coincide with the 100th anniversary of the ship Titanic setting sail.